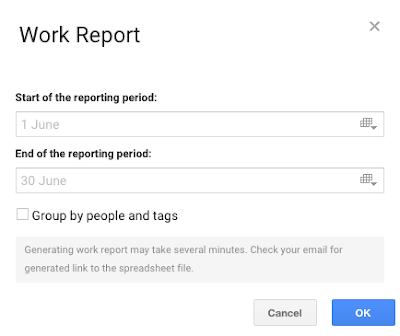 We've added the ability to export all project data to a Google Spreadsheet for further sophisticated analysis out of Projects scope. 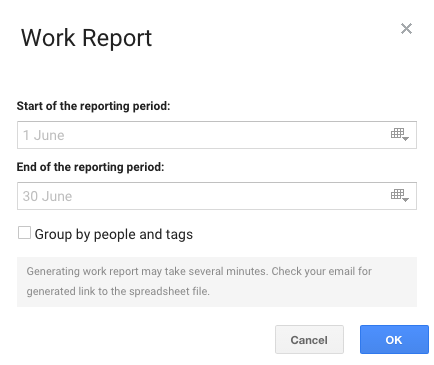 We've also added the ability to generate a plain Work Report sorted by time without grouping. 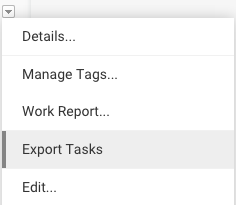 You can create a new project or area by clicking on the “New Task” button if there are no projects or areas visible to you. If you forget to select a Drive folder for attachments while creating a new project or area the system prompts you to do so. We've improved the performance of opening the application. We've also improved the notification after changing the attachment folder. Want to be the first to know about Projects updates?